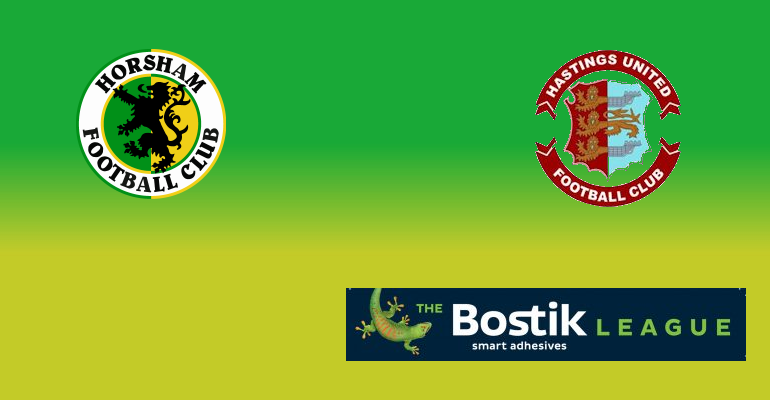 Third placed Hastings United make the trip along the south coast to take on fourth placed Horsham in a midweek round of fixtures in the Bostik League. The Hornets will head into the game the fresher of the two sides, having had our game on Saturday against fellow Sussex side East Grinstead Town called off, however The Arrows failed to take advantage with their game against Guernsey going ahead as they were held to a 1-1 draw at The Pilot Field after spending the final half hour against The Green Lions with nine men. 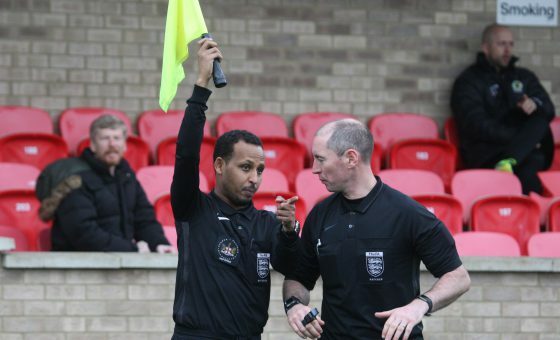 That draw might well have been seen as two points dropped by United manager Chris Agutter, whose side responded to a surprise 4-1 thrashing away at Herne Bay previously, with their form in their last five fixtures seeing them drop from down to third from second place having spent much of the campaign trailing runaway leaders Cray Wanderers. 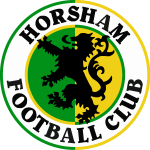 A win for Horsham would see Dom Di Paola’s side gain revenge for a 2-0 loss earlier in the season in the reverse fixture, when Sam Adams and Daniel Ajakaiye scored in a comfortable victory for The Arrows, and should Horsham secure a potential tenth home league win on Tuesday evening, they will pull themselves to within a point of our visitors. 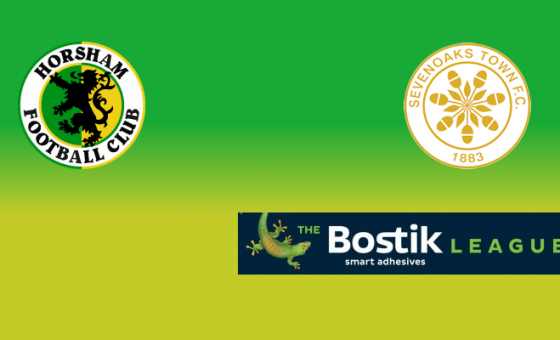 The Hornets will be without defender Lewis Hyde who serves the first of a three match ban following his sending off against Ramsgate, while Charlie Harris is sidelined following cruciate ligament damage sustained in the same match. Former Worthing defender Will Miles, however, is expected to go into the squad following his signing on the weekend. 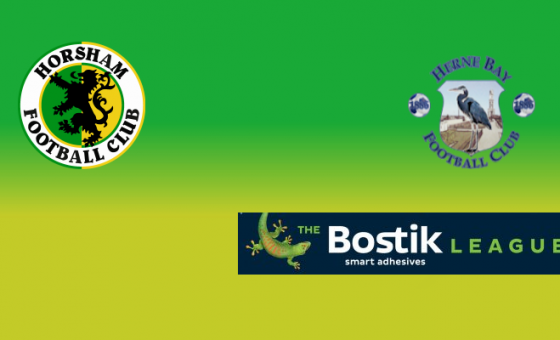 Our game against Hastings United has very kindly been sponsored by Pete Tanner, while our PA man, Mark Barrett has sponsored the match ball. The club extends it’s thanks to them both for their continued support.